Expo 2010 and the 2010 Italian EoC Conventions: Businesses, Projects, Future. Preparations heat up in Loppiano for the well-prepared series of events connected to the Expo 2010 and the 2010 Italian EoC Convention, the most significant EoC events in Italy this year. Everything will take place in a wider event, that of Loppiano lab, a new space for dialogue and comparisons, thought about in order create a network of ideas, practices, experiments, and questions in the field of current events, culture, education and economy in the viewpoint of fraternity. Loppiano Lab will take place from September 16 to the 19 through meetings, round tables, debates, business expositions at the Polo Lionello in the international small town of Loppiano (Florence, Italy), which for more than 40 years has been a laboratory of cohabitation and integration among peoples of different traditions, customs and religions. Polarizziamoci: Expo 2010 - Businesses in Network: an innovative answer to the crisis, Polo Lionello Bonfanti, September 16 - 19. Each business will be able to place itself in various areas of innovation and relationships related to: quality of products and services, energy and environment, ethics and sustainability of the financial market, technology and new organizational models for businesses and among businesses, society and health. These areas will be developed through expositions, shows, and - on September 16 -17 - through workshops and round tables proposed by the businesses of civil economy and the economy of communion that adhere to the initiative. 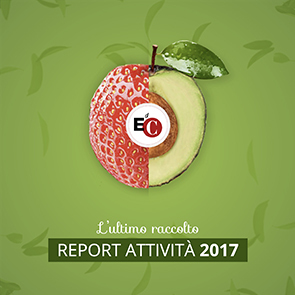 The convention is titled "EoC for Italy: Businesses, projects, future" and is geared towards all the protagonists of the EoC in Italy: entrepreneurs and employees of businesses, young students and workers, promoters of the EoC and Civil Economy at every level, shareholders of the E.diC. Spa and all who are interested in and wish to know more about the Economy of Communion. Starting from the ongoing experience at the Polo Lionello Bonfanti and its history, the first session will be dedicated to the proposal made by this particular reality, which always more aims to be a point of reference for the Economy of Communion in Italy, in dialogue with many others who are interested in applying fraternity and good praxis in economy. The second session of the Convention will be dedicated to the youth. The afternoon of September 18, at 15:30 in Loppiano´s auditorium, the convention titled "What kind of country? What kind of unity? ", organized by the promoters of Loppiano Lab (the international town of Loppiano, the E.diC. Spa with the Polo Lionello Bonfanti, Sophia University Institute and Cittá Nuova editorial group).